POP! 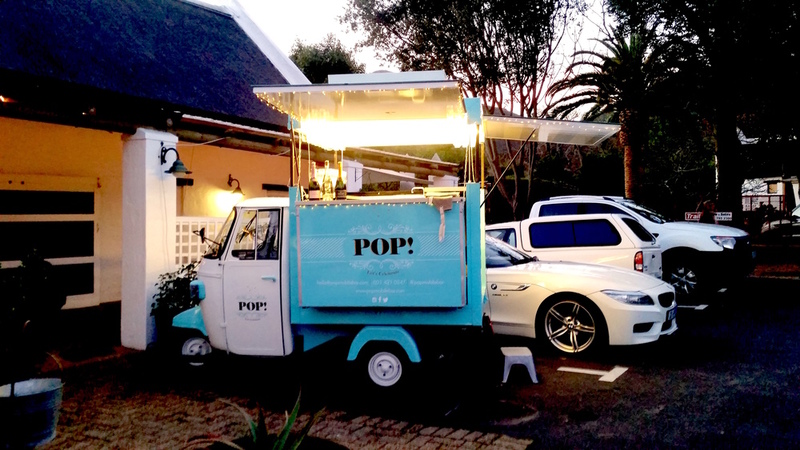 Mobile Bubbly Bar at The Foodbarn — POP! POP! Mobile Bubbly Bar was out and about for our first private function this past weekend! We were super excited to be involved in this weekend of birthday celebrations for our client. POP! was arranged as a surprise for our client's sister, who was in Cape Town celebrating her 50th birthday with a weekend full of extravagant celebrations. The black tie event was held at The Foodbarn in Noordhoek Village, which was turned into a beautiful lounge with couches, tables and elegant decor. POP! was there to serve as the welcome drink for all the guests in cocktail hour, before the dinner was served. We served a Brut and a Brut Rose, as well as a non-alcoholic sparkling grape juice for the teenagers, from our beautiful little tuk-tuk. Our fairy lights twinkled as the guests arrived in their evening dresses and POP! ensured that their evening got off to a great start!